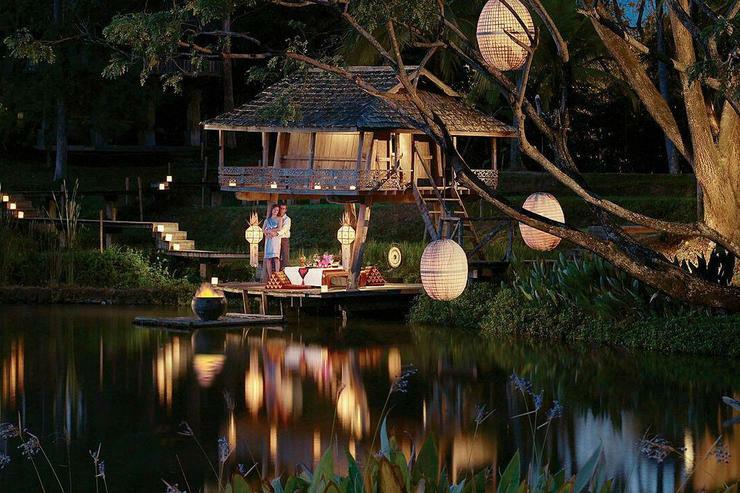 The Four Seasons Resort is located in Mae Rim area, 12 Km north of Chiang Mai city and a 25 min drive from Chiang Mai international airport. 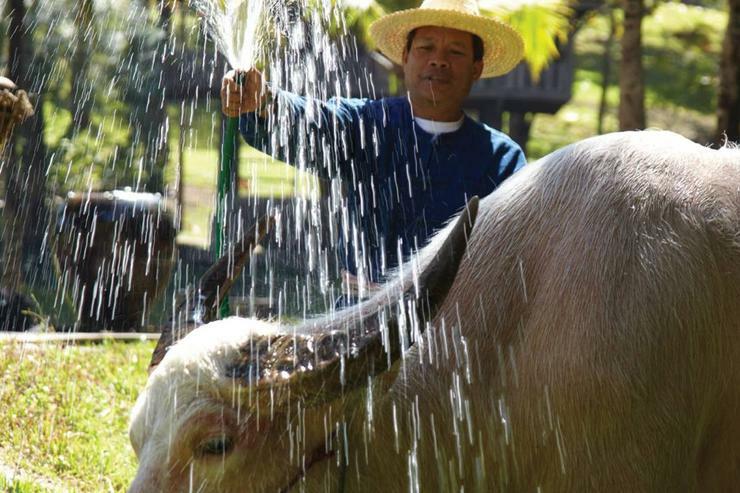 Mae Sa valley starts right there with all its attractions : Elephant Camps , Monkey schools, Orchid and Botanical Gardens, waterfalls, white water rafting,country restaurants , Bungy Jumping , mountain trails, and bird watching , which will require at least 3 days stay to explore. * Continental Breakfast , and all the Fours Seasons facilities just like one of their own guest except , Shuttle Bus to town and Mountain bikes renting. 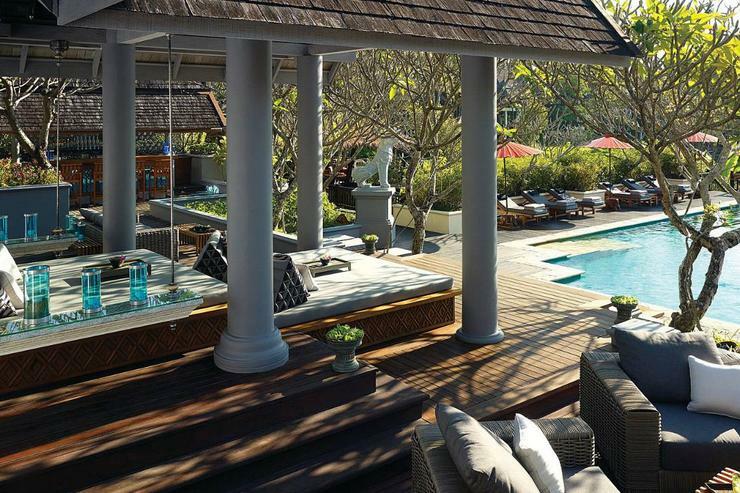 * Rates also exclude Service charges to our staff which is left to our Guests discretion. One night due if cancellation occurs with 48 hours of expected checking in time. Cash or personal cheques in Us Dollars , UK Pounds, Australian Dollars , Hong Kong Dollars , Singapore Dollars , Thai Bahts. Unfortunately No Credit cards nor Travellers Cheque can be accepted. 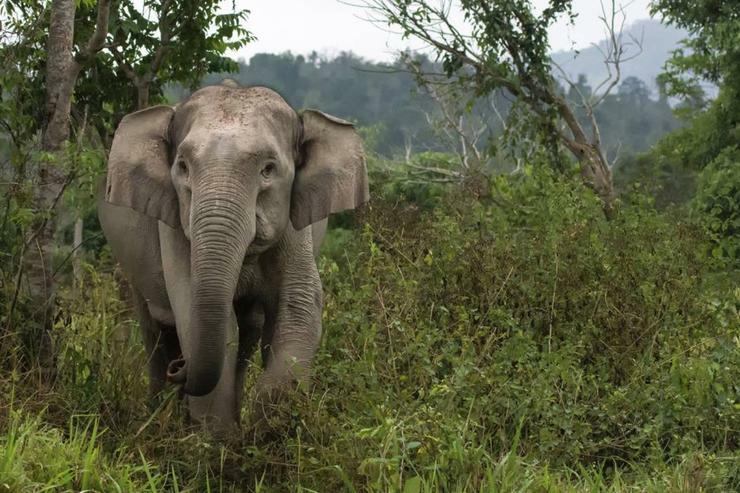 Lana is the name of the ancient Kingdom of Northern Thailand centred in Chiangmai over 700 years ago. 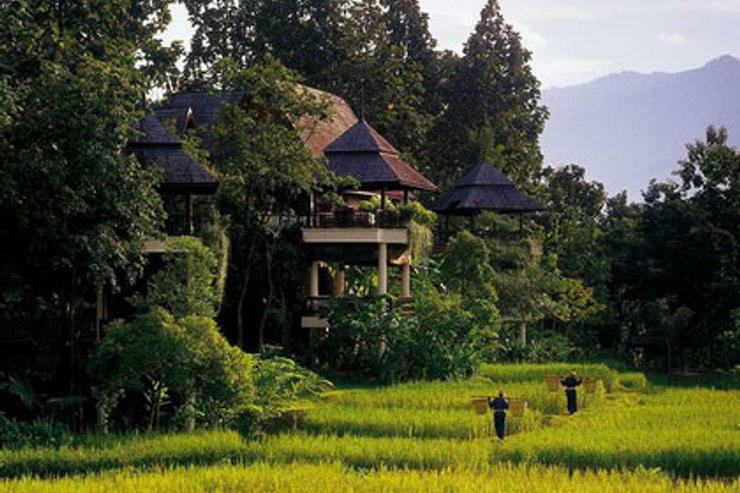 Lana Thai Villa is set in the elegant and exclusive setting of the Four Seasons Resort, and shares its magnificent and exquisitely sculptured landscape with a backdrop of terraced rice fields stretching to the horizon with its lush moutain greenery backdrop. 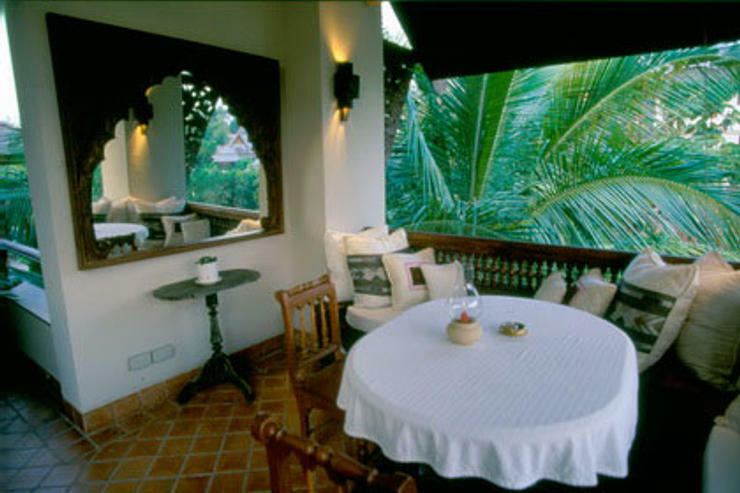 Lana Thai Villa Bed & Breakfast occupies the upper two floors of Mansion 3 and offers a very extensive view of the vast panorama surrounding the area. * The Chinese Suite with a study and a large open 'Sala' . 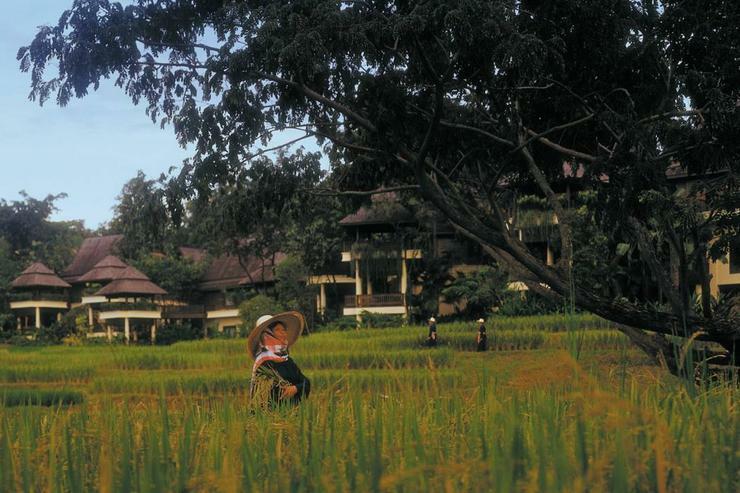 * The Balinese Suite with an identical Sala but no study. 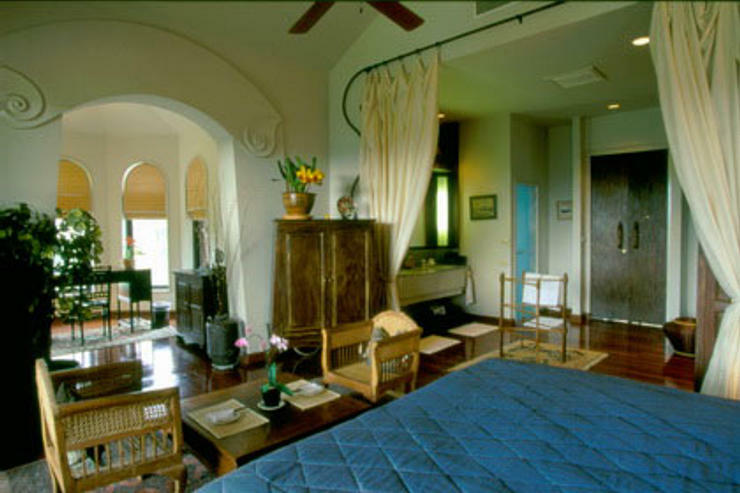 * The Burmese Bedroom (which has no Sala) and is most often used for the children. Rates provided are for the 3 rooms, which can also be rented individually. 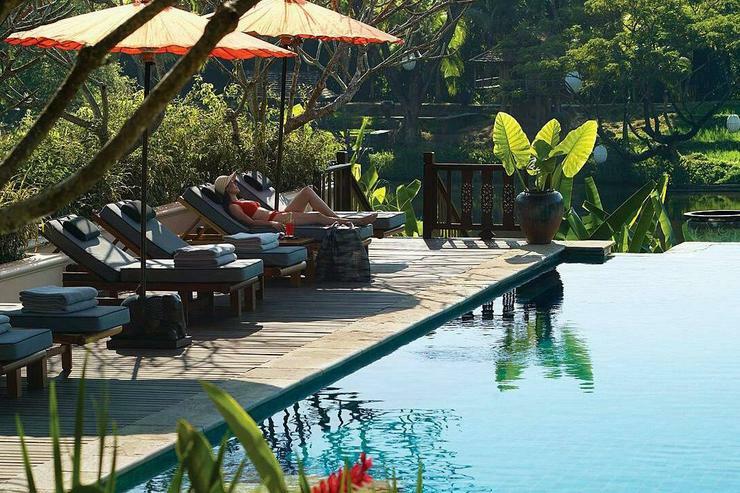 The Villa Manager will guide Guests to the reception for this formality and give them a complete tour of all the Resort facilities at the same time. * 5 minutes walk from the Residence (an electric buggy can be requested to pick you up). 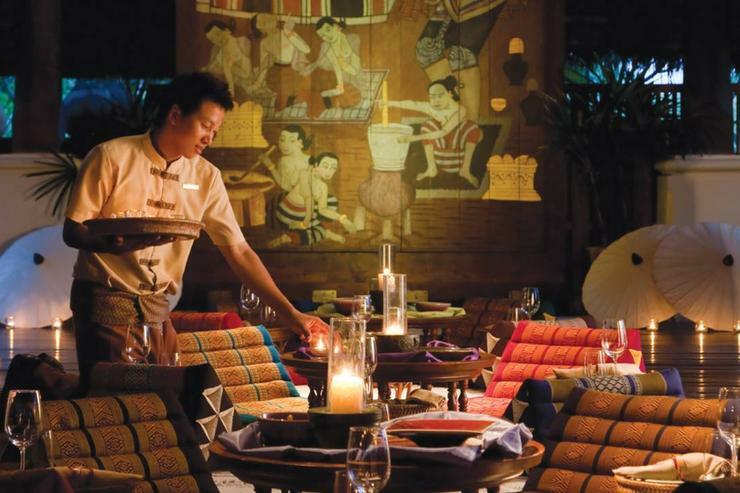 It offers western and Thai food in a sophisticated atmosphere . 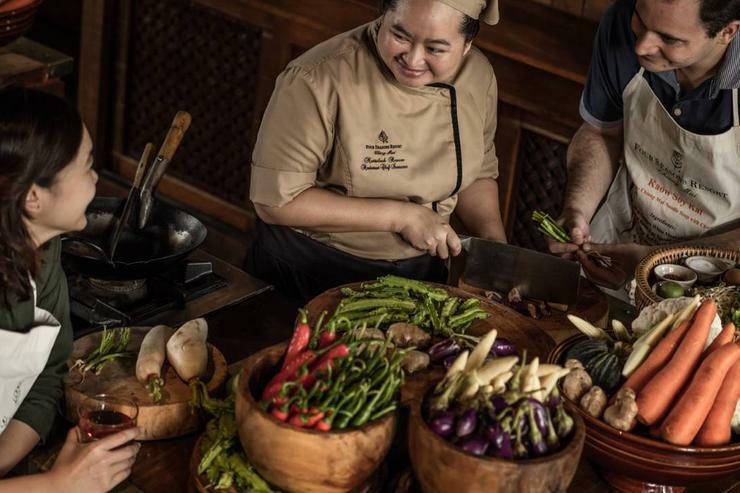 * The Pool Terrace Restaurant , offers delicate Mediterranean and Thai food, while there is a Cooking School which at certain times double up as a casual restaurant . 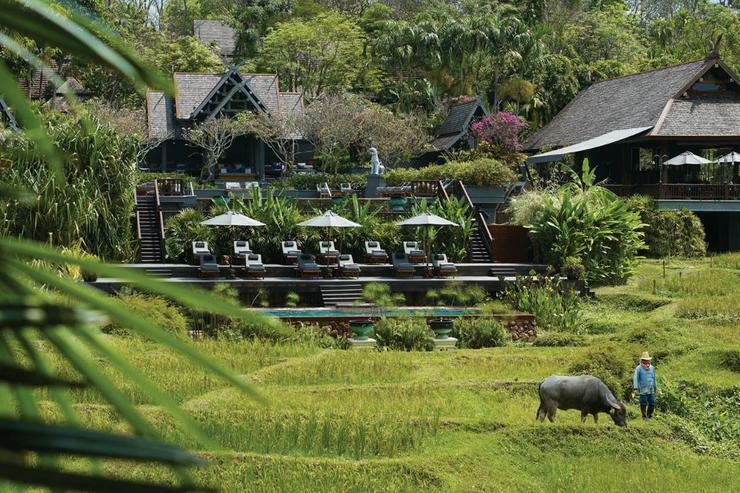 * The Elephant Bar overlooks the entire Resort . * Lunch and diner can be ordered from the Room Service of the Four Seasons Resort and will be delivered to our Salas . 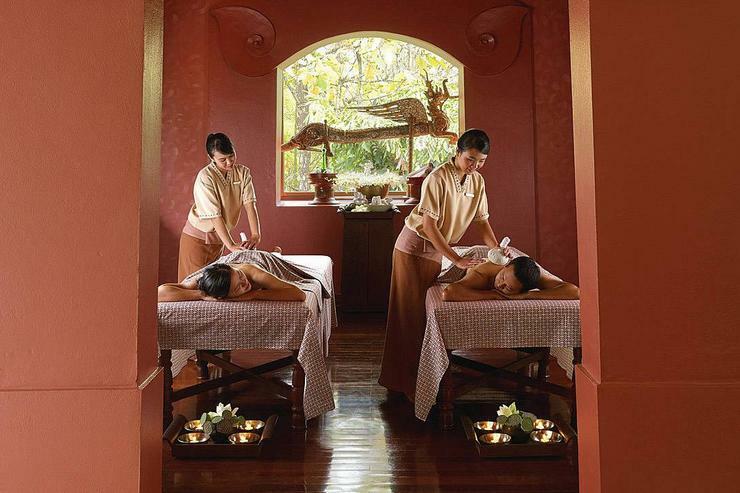 * The Lana Spa is the Highlight of this Resort one of the best in Asia. 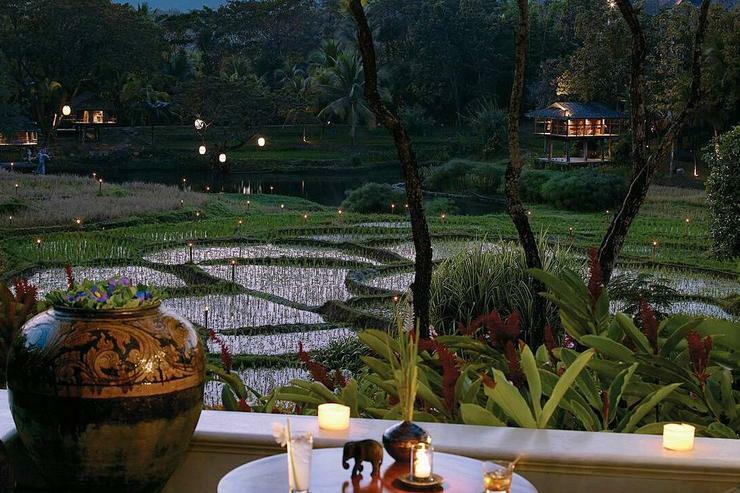 * Two swimming Pools, both with their separate Jacuzzi , and a large plunge pool by the sun deck overlooking the rice fields . * A complete Gym and Fitness centre, with sauna and steam rooms, 2 open-air tennis courts available for a fee, with or without tennis coaching by a resident pro. * Three golf courses are situated in the vicinity : The Green Valley Golf course 5 minutes drive, The Lanna Golf course 20 minutes drive, The Royal Golf course 40 minutes drive. * The Hotel Business Centre is situated next in the library next to the Four Seasons Hotel lobby, is equipped with computers, internet and Wireless connection. 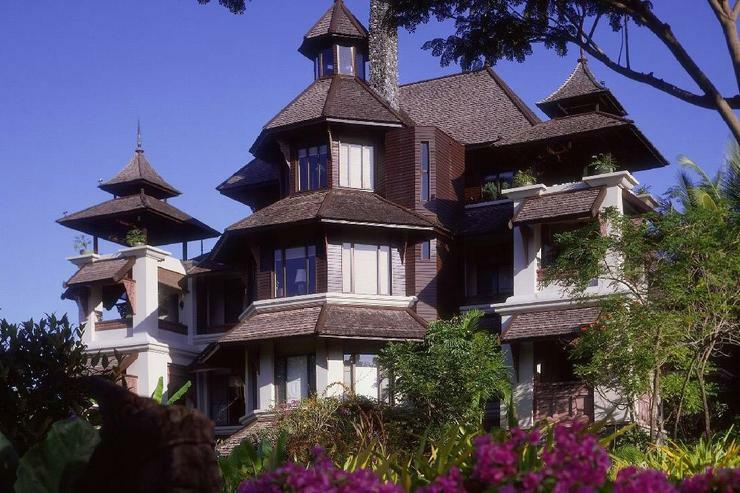 Please note that the Lana Thai Villa suites and bedroom are non smoking except onthe " Salas " (balconies). 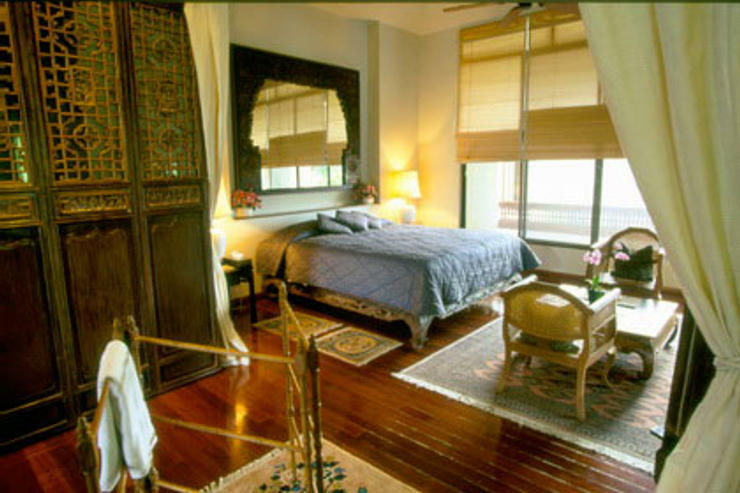 The Chinese Suite with its en-suite bathroom covers an area of 40 square meters, (431 sq.ft.) an additional alcove of 10 square meters, (108 sq.ft.) 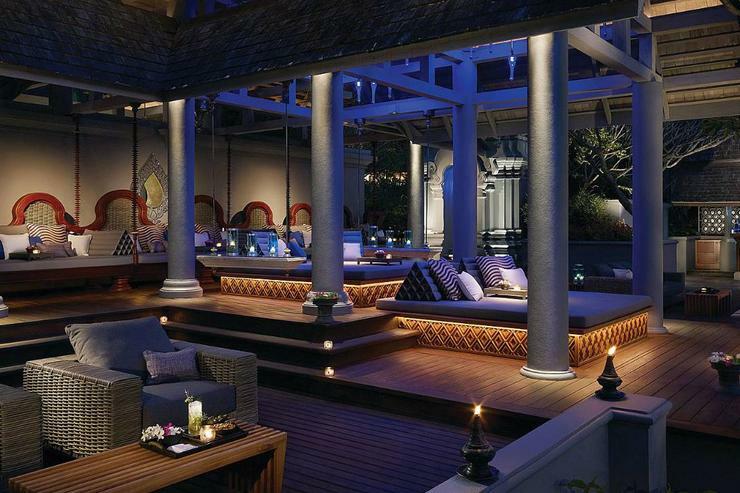 furnished as a study leading to a covered balcony ('Sala' in Thai architecture) of 12 square meters, (129 sq.ft.) 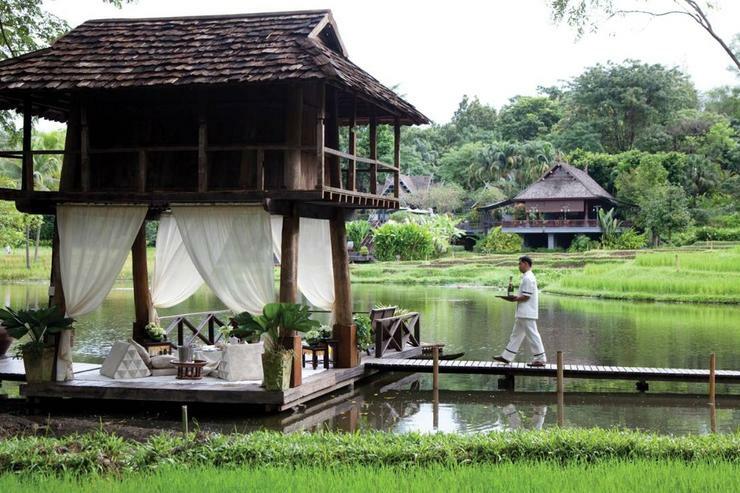 where breakfast is served, the View overlooks the tropical garden of the Four Seasons Resort , Lily pond , rice fields , and mountains on the Horizon. This Suite has one King bed , separate shower stall and separate Toilet . 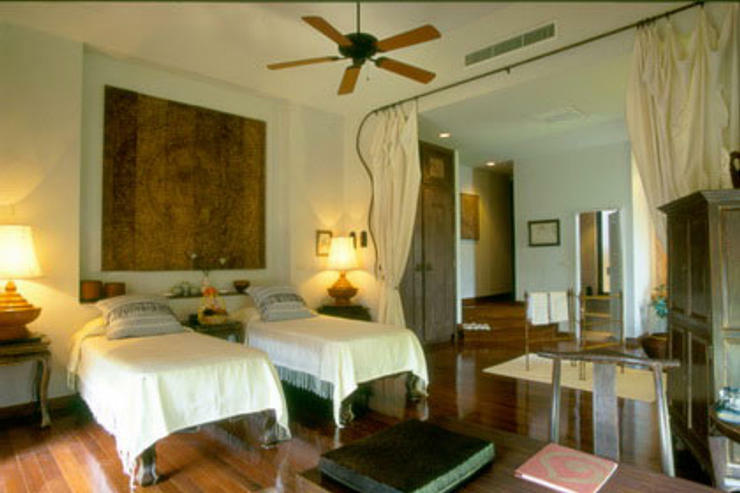 The Balinese Suite with with its en-suite bathroom covers an area of 40 square meters, (431 sq.ft.) 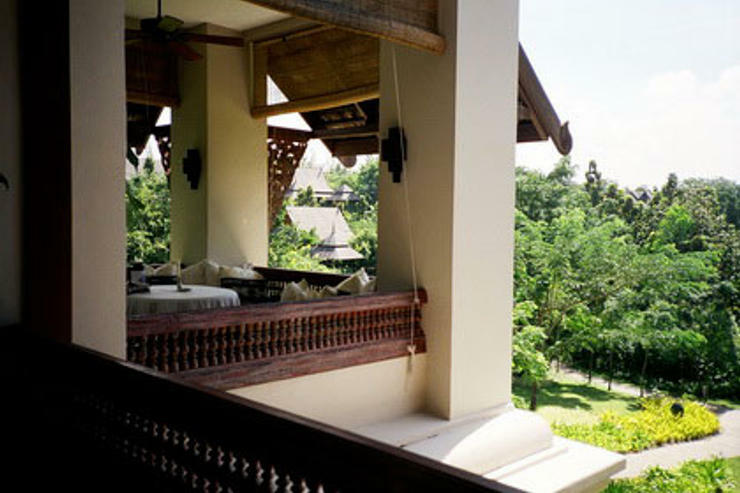 a balcony ('Sala' in Thai architecture) of 12 square meters, (129 sq.ft.) 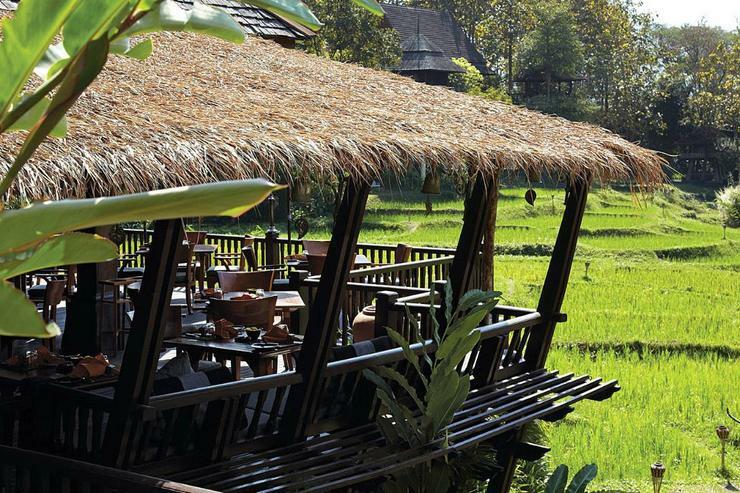 where the breakfast is served , the view overlooks the tropical garden of the Four Seasons Resort , Lily pond , rice fields , and mountains on the Horizon. 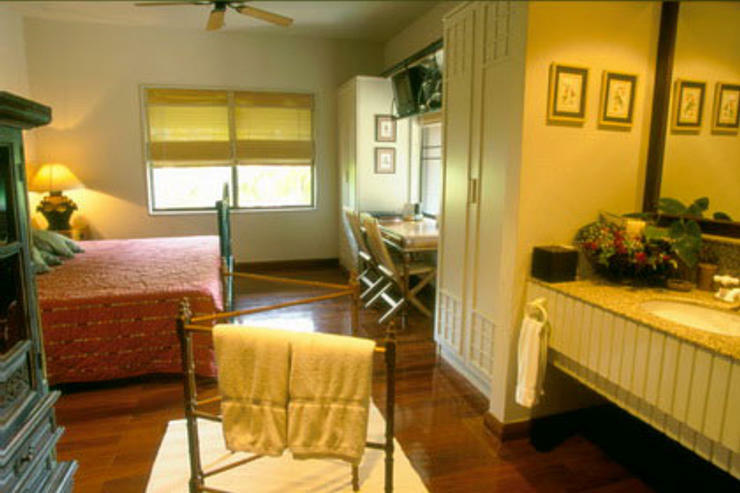 This Suite has Two twin beds which can be assembled as one King bed, separate bathtub stall and separate Toilet . 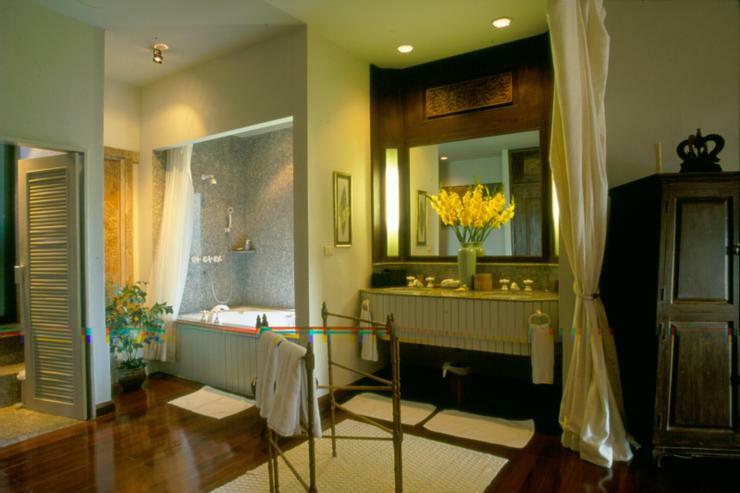 The Burmese Suite with its en-suite bathroom covers an area of 28 square meters, (301 sq.ft.) 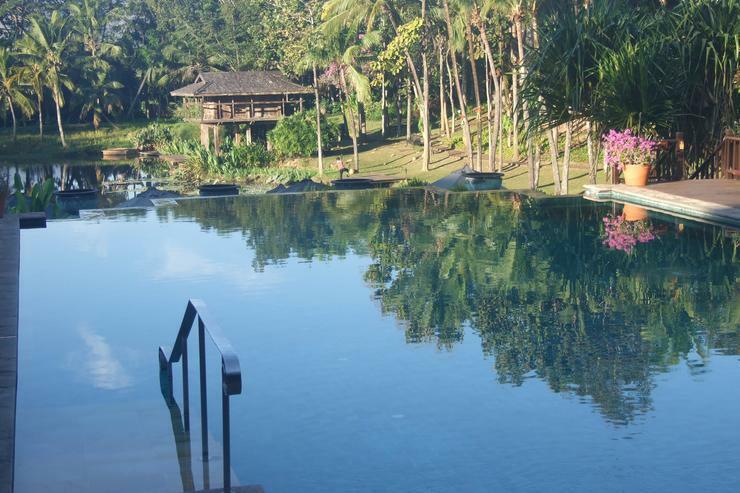 It is more modest and suitable for our guest children who can then join the parents for breakfast in their 'Sala' , the view overlooks palm trees and open view over the Resort tropical gardens Two twin beds which can be assembled as one King bed,separate shower stall and separate Toilet.